Toldfield Architects Ltd has successfully procured schemes for the following Land Use Sectors and areas of Project Involvement. LAND USE SECTORS: •Commercial •Private Health & Care •Recreation •Residential •Retail AREAS OF PROJECT INVOLVEMENT: •Site Evaluation and Concept Design •Master Planning and Urban Design •Outline Planning Applications •Full Planning Applications •Conservation Areas & Listed Buildings •Building Regulations & Construction Details •Tender Packing & Contract Administration •Site Inspection •Interior Design & Fit Out •Part Wall Notices TOldfield Architects Ltd – Philosophy Established 2015 TOldfield Architects Ltd combines the experience and skill of Kourosh Jamriz-shirazi (Kourosh Design) and Adi Puplampu (former senior employee of Tony Oldfield), to create a talented and exciting team of contemporary architects. 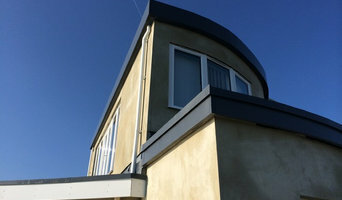 Both architects have successfully delivered a wide range of projects, from large multi-unit developments to small bespoke extensions or commercial schemes located in Hampshire, Dorset, Sussex and London. The practices design approach involves listening too and understanding the clients’ requirements, analysing and translating the objectives into a design brief and offering innovative design solutions with inspiration drawn from the context and the clients’ desires. I live and work here at Newport on the Isle of Wight; so I'm perfectly placed when you have a building project in mind... a new home, a business venture, or just a small extension or internal alterations. I am Chartered Architect which means I have the backing and am a member of the Royal Institute of British Architects so that you can be assured that your project will be handled with integrity and professionalism and that I am qualified to take the job from initial design concept through to completion of the building works on site should you wish. Temple Ford Design offer a bespoke service tailored specifically to meet your personal design and architectural needs. We are passionate about what we do. Our vision is to make a positive impact on the built environment and translate your dream into reality. We offer a full architectural service; from concept design through to project management, including working drawings and preparing tender information where required. 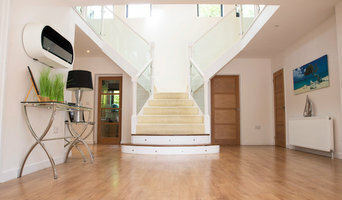 Temple Ford Design are in Chandlers Ford and generally cover the south of England. Our first priority is to listen in order to get a good understanding of the client's needs and aspirations, then we work together to inspire and develop excellent design solutions which we are confident will go beyond expectations. 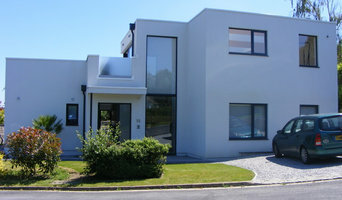 Every project is unique and benefits from our careful approach, our broad range of experience and our familiarity with architectural philosophies. We are uncompromising in our use of correct techniques and quality materials. Our many years of successful practice has enabled us to build up a network of building professionals who work with us to bring our designs to fruition. LG Planning Limited is a consulting firm specialising in planning, building control, interior design and project management services for the residential, commercial, and other building sectors. The company provides a complete service from the initial concept discussion, through the feasibility study to completion of the construction stage. 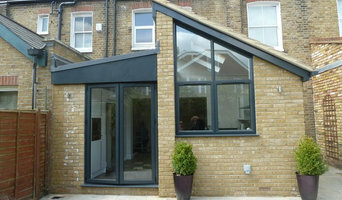 It also specialises in house extensions and loft conversions. We have been established since 1994 and aim to provide a comprehensive architectural planning service with Building Drawings to the latest Approved Documents and a Structural Design Service. We aim to provide an efficient personal service and satisfaction for all our clients. Feng Shui consultant making every endeavour to bring a bespoke personal space for each occupant of a property to support their well being and future prospects. Helping in all aspects of life, health, finances, career, relationships, even fertility. Working at one with, and following the example of nature. Chartered Architect and CDM Coordinator A small Architecture firm working across a range of residential, commercial and ecclesiastical projects. Aventa Architects was formed by Richard Wetherill in Winchester in 2002 with a focus on delivering high quality design and management of building projects which are primarily located in Hampshire and the Isle of Wight. Aventa Architects is a young and dynamic practice that is able to respond to the individual requirements of each project. Richard Wetherill has extensive experience across a range of building types and has been a practicing architect in Winchester since 1983 and has been a director of an architectural practice since 1993. Irrespective of the building type, Aventa Architects strives to address the unique opportunities each project present to successfully meet the building owners and users aspirations. A small practice, with a wide range of skills and good associates . Our Architects can take care of the planning and building regulations as well as the structural design too. We have partnerships with Town Planners, structural engineers and the specialists required . Founded in 1990, The Relph Ross Partnership Ltd. is a well-established award winning Architectural practice covering a large region in the South of England. Based in Salisbury, a city of historical importance but with modern needs and demands, the practice offers an efficient and professional service, incorporating all aspects of the design and building process. EMPERY+CO is a progressive architecture and design studio. In a fast changing world our focus remains constant, to create a positive impact through architecture. We believe good architecture is the key to a better quality of life. Our passion is to deliver a high quality, intelligent and responsive design service. Our aim is simple: To create a better environment for our clients to live, work and play in. 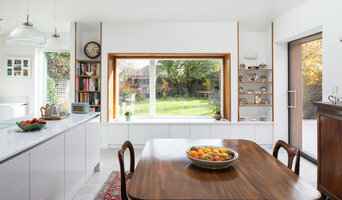 Baillieu Architects is an experienced RIBA Chartered Practice based in Headley, Hampshire specialising in residential projects. We have added value to projects from new build homes and residential extensions to mixed-use and office developments. We offer a full architectural service taking the project from the initial feasibility through design, planning, building control, procurement to project management and on-site completion. We can tailor the service to the client's requirements. Our planning experience covers listed buildings, conservation areas and areas of outstanding national beauty, such as South Downs National Parks.